It is the last Friday of the month, so that means a sketch challenge at AnnaBelle Stamps. I’ll be honest here…I struggled with this one. It was the half circle that threw me, so I took some liberties with the sketch which I turned. Hope that I wasn’t bending the rules too much! The main panel is distress ink blending (like I showed in my video tutorial this week), but for some variation, I sprayed it lightly with a mister to create a splotchy water effect (I think it looks like a night sky full of stars!). 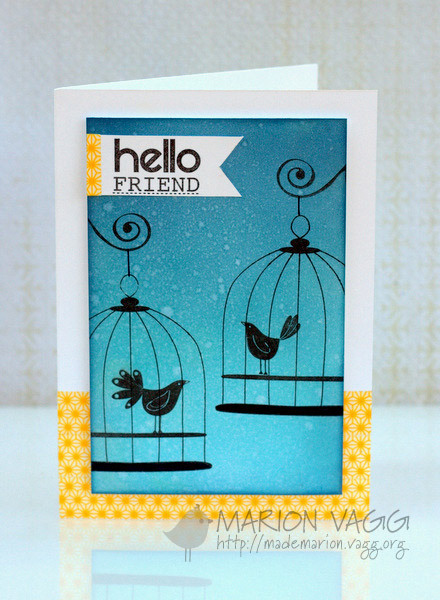 I stamped the birds and cages from Love Birds and the sentiment is Garden silhouettes. The yellow is washi tape! This week’s winner will receive the awesome Fanciful Flowers stamp set – one of my favourites! 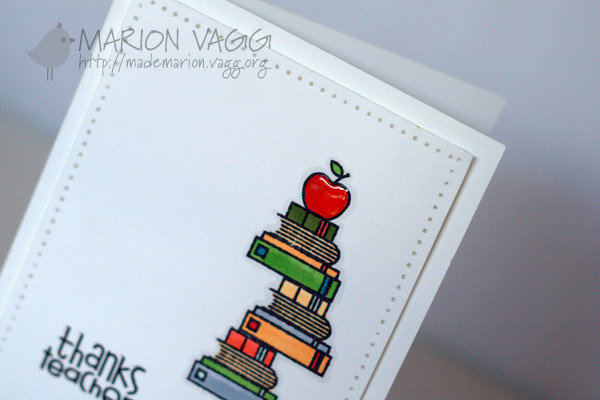 I have created this card for the Movement Challenge in the Moxie Fab World. Hope you will find the time to play along. Be sure to check out the rest of the Belles projects – their links are on my sidebar. 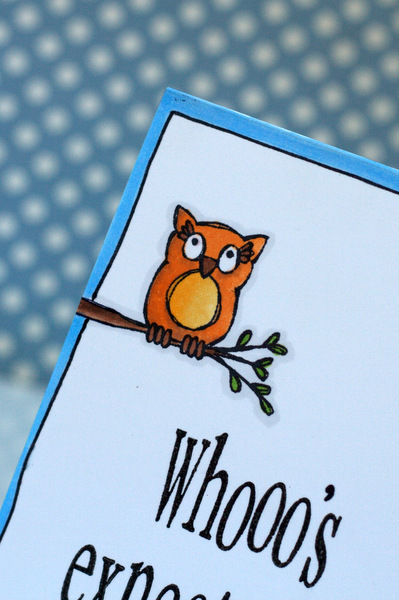 Today I have a video to share with you for AnnaBelle Stamps. I am really liking one layered cards at the moment and so decided to create one using a couple of different techniques – masking and blending with Distress Inks. I also love silhouette stamping over the top of inked backgrounds. I think it makes for a dramatic card with not too much effort. 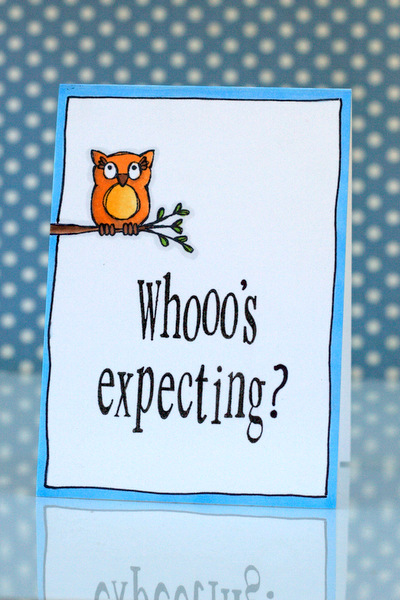 I needed a quick card for a baby shower yesterday…so I went CAS and love how it turned out. I used the HA Playful Animals set and came up with my own sentiment. This one is a mini card. 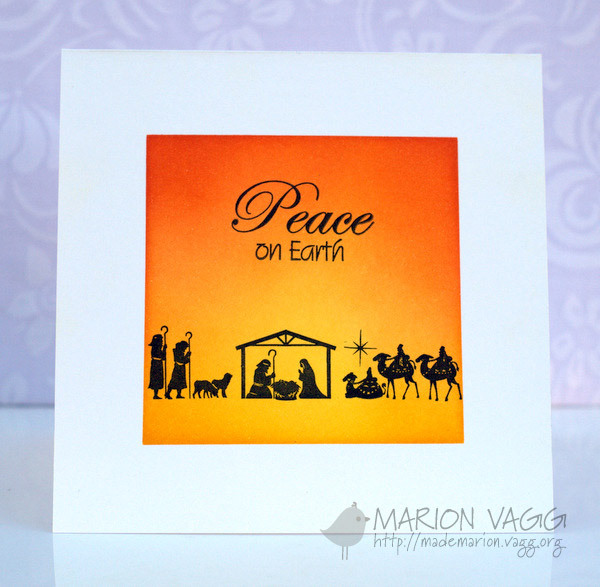 I am entering this into the current Hero Arts Challenge – Clean and Simple Stamping. 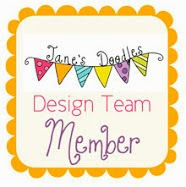 Welcome to another week at AnnaBelle Stamps. 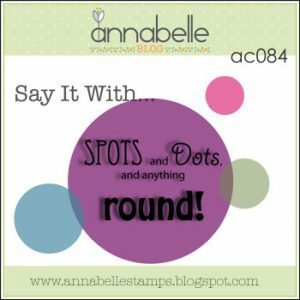 We have a fun challenge for you…Say it with Spots, Dots and Anything Round! I decided to take a different angle for this challenge….my round things are M&M’s. I found these really cool cellophane treat bags on Ebay (after being inspired by my fellow Belle Kylie) and decided to give them a try. So much fun. 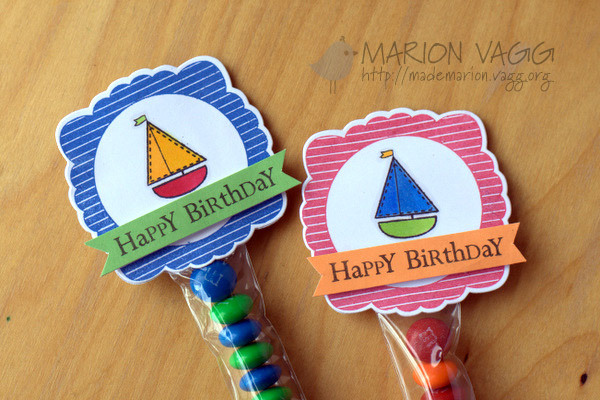 I used the Shapes 1 die and the coordinating stamp set Boy’s Party to create the favour topper. 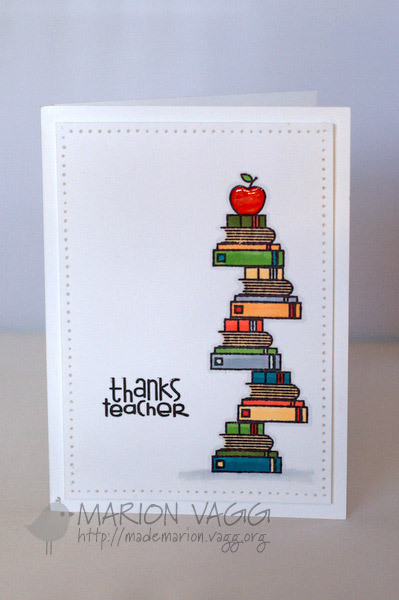 The sentiment is from the Shape it Up stamp set. 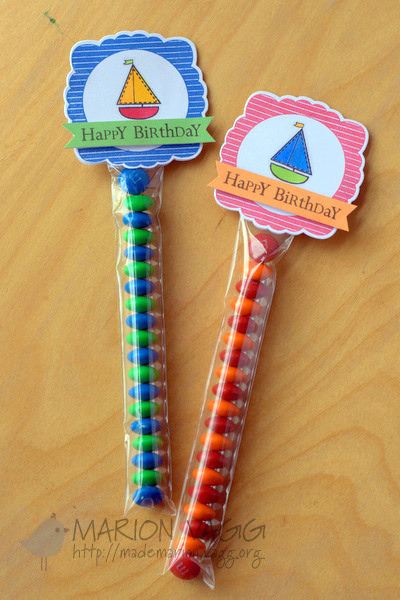 I plan on making a ton of these for my son’s birthday in December to give to his classmates – I’ll just change up the sentiment – personalising it with each child’s name. Hope you will find the time to play along. The winner will receive the Lil’ Monster’s Balloon stamp set. Be sure to check out the rest of the Belles projects – their links are on my sidebar. Popping in quickly with a card for a challenge. 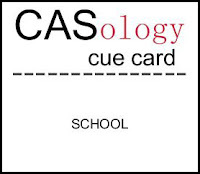 I am entering this card into the current CASology challenge blog where the cue card is Week #6 School. The images are coloured in with Copics and the apple is covered in Glossy Accents.